When making decisions about your education, sometimes getting started is the hardest part – and we are here to help. We bring WKU to you with convenient, flexible courses, personal attention, quality academic instruction and outstanding student support. Complete your degree close to home and REACH HIGHER! 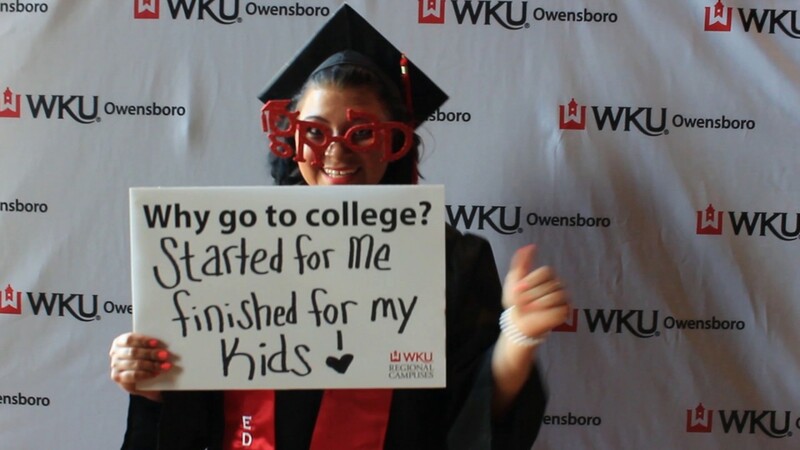 WKU offers more scholarship dollars than ever before, and you may qualify! Transfer Scholarships: as a transfer student, you may qualify for up to $4,000 in scholarship awards. Additional scholarships are also available! Click the following links for scholarships available at the regional campus of your choice. Complete the WKU application for admission now so you can get advised and register earlier in the process. Be prepared submit transcript(s), ACT/SAT scores and other required documentation. Our knowledgeable financial aid counselors can meet with you one-on-one to discuss your financial needs, review potential expenses and explain financial aid programs. Learn more about student financial assistance. WKU offers more scholarship opportunities than ever before! You may qualify for several, including Transfer Scholarships of up to $4,000. Contact us to schedule a campus tour or a one-on-one session with an academic advisor. We can talk in person, via phone or online. Get Started Today and Climb With Us! Find out how our graduates answered the question, "Why go to college?"